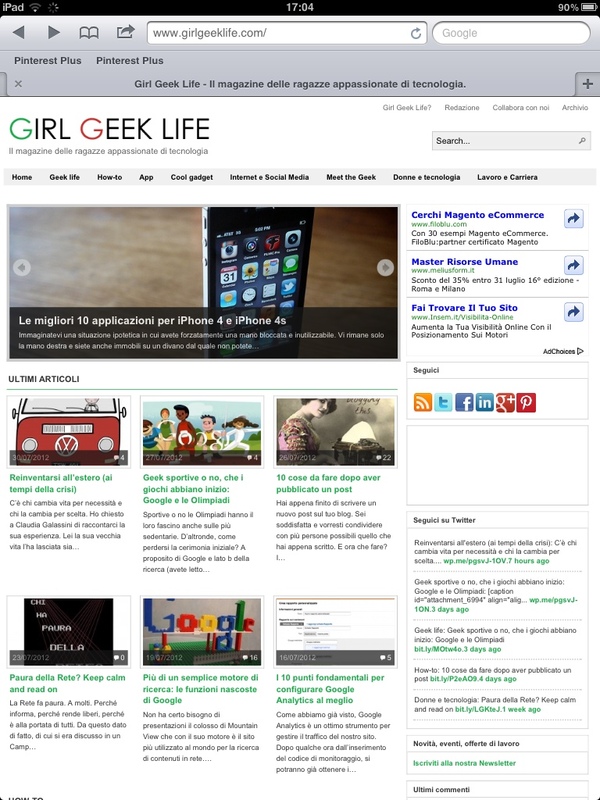 Girl Geek Life: my first interview. 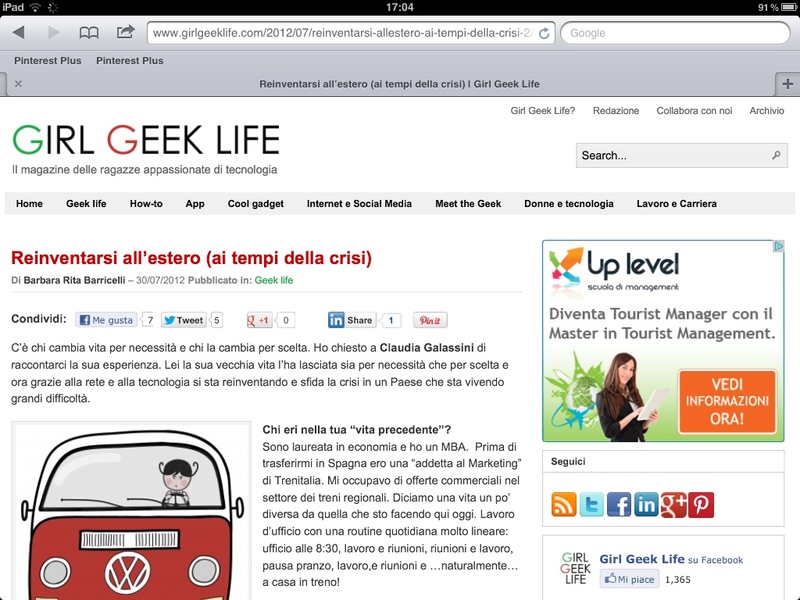 It’s a pleasure to announce my first interview on Girlgeeklife.com an Italian online magazine for geek girls. Who knew – there’s actually a web site just for us geek girls. Gotta love that. You go! Thanks for the like. Thats so brilliant, you must feel so proud of your achievements. Good on you.